Many individuals and small groups of 2 or 3 passengers prefer to split the cost of a charter with others. In the charter business we call this an “Open, Single, Split, Walk on,or Mixed Group Charter”. This type of charter is ideal for those who can’t afford a private charter and are willing to split the cost with other individuals. 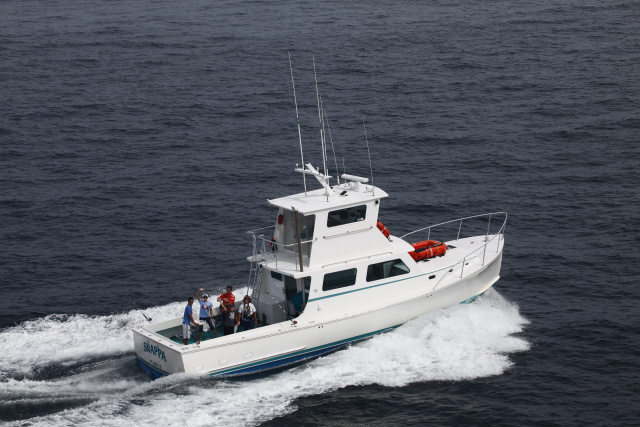 In addition to fishing, and diving charters, we also offer the Mixed Group Charters on Whale Watching, Narragansett Bay History and Sunset Cruises, and Lighthouse Tours. Please visit the specific web page for more information and schedule. If you would like to join us on a mixed group charter please call or click on the "Reserve Your Charter Date" page toward the bottom of our navigation column. Fill in the form and you will be contacted within two days to answer any of your questions.